It might be considered a platitude, but people are always looking for new ways to break away from the monotonous beat of everyday normalcy – either temporarily or permanently. According to a 2013 report on drug abuse by the United States government, 9.4 percent (around 24.6 million people) of individuals age 12 or old noted that they had recreationally used a drug within the past month. This tendency to seek life-changing experiences is true whether it concerns things like the countercultural movements of the 1970s – which infamously involved controversial music and use of illicit drugs – or the technological experiences today. Most people are fascinated with those experiences that allow them to escape crushing boredom and constancy of regular life. That’s why the prospect of virtual realities and the possibilities of automation afforded by artificial intelligence are so exciting. Here are some of the biggest changes related to these two fields that are quickly arriving with the technological advents of modern society. In order to understand the importance of the changes that are currently taking place in the field of AI, a brief description of historical approaches to the problem of replicating intelligence is helpful. Let’s illustrate these approaches by taking a look at how chess engines function. With regard to chess engines, the goal is clearly defined and the problem is how can we code a machine to make accurate decisions that will lead to a winning outcome despite the difficulty of running large sequence searches through possible move sequences. In the past, engineers solved this issue through cruder methods that involved the use of decision trees and using certain mathematical methods to guide the chess engine’s choice and calculation of the best possible move sequences. The issue with this method – and the challenge that impacts most AI development efforts – is that there needs to be significant amounts of training material in order for the engine to develop sufficient resolution and accuracy in making its choices. Another limitation that is implicit in these older methods in artificial intelligence is that the methods themselves are static – there is no way for the methods to refine themselves without the help of human ingenuity. The concept of machine learning is part of the set of revolutionary methods in artificial intelligence that is addressing this limitation and attempting to surpass it. So, where does virtual reality come into all of this? Well, to start off virtual reality is similar to artificial intelligence in the sense that the field is still in its development stages. However, virtual reality is in an even earlier stage of nascency. With the introduction of the popular Oculus Rift to the market, the general population has gotten its first preliminary taste and involvement in virtual reality. Yet, it is apparent the methods for providing a truly fulfilling virtual reality experience are still very rough around the edges with the introduction of hamstrung attempts like Samsung’s Gear VR, which is really just you attaching your phone’s display to your face. Further along the path of VR development lies the innovative company Guru which aims to advance the integration of VR for exhibits and museums. A key belief of Guru is that the right technology can enhance static works of art, , and Guru’s augmented reality platform seeks to bring static art like paintings of historical figures and locations to life. You will feel as if you have been literally transported into a painting as Guru’s digitization software intelligently animates the canvas. What makes Guru possible derives from its blending of the concepts of artificial intelligence and virtual reality. Artificial intelligence is used by Guru to identify major themes in a painting and distinguish between buildings, people, and objects in order to bring them to life. Meanwhile, the design of the platform exists as virtual reality, allowing visitors to easily and intuitively access it. Recently, the allure and wonder of the culture and history associated with famous artistic works has been lost to the massive leaps in technology. The expectations of the general population have gradually increased with the subtle introduction of these technologies which have become commonplace in the lives of many people. Mythology flourished during the time of the ancient Greeks because of the uncertainty associated with the unexplored areas of nature – there could always be the stray nymph running around in a vast forest. But with the certainty provided with technology advancement, that feeling of wonder at the unknown has become rarer over time. Guru allows museums to take that same leap forward in order to connect with their visitors in a manner befitting these technological advents. It amazes and stuns visitors to see this blend of technology and human ingenuity in the palms of their hands. Guru restores to art what technology has replaced – our imagination. 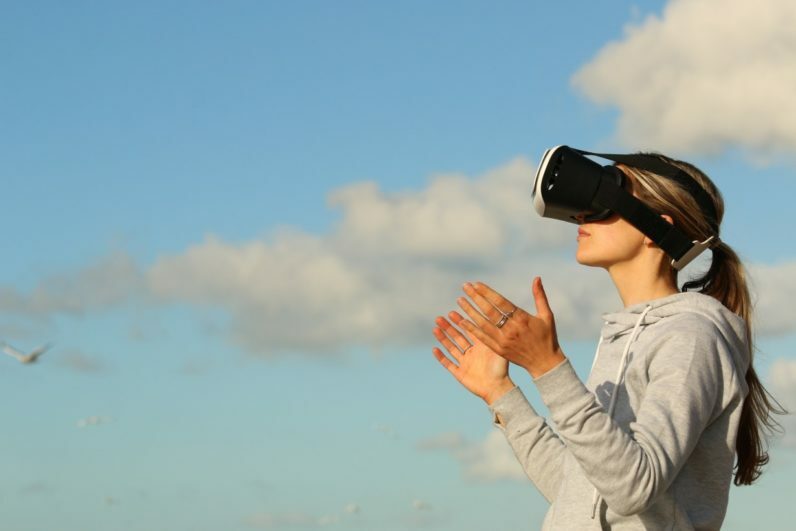 Moving away from immersive virtual reality experiences, there are arguably virtual realities that involve the inverse – the projection of the virtual into the real. Gatebox and its virtual assistant that can engage you in conversation and control the settings of your home to an extent, based on your preferences, is a good demonstration of pioneering for this specific field. One day, the machine learning methods of artificial intelligence may even be incorporated into the conversational abilities of these assistants to give them an increasingly human-like presence. Artificial intelligence has experienced a paradigm shift in recent times. This is because the older models of decision making that involve brute force methods or decision-making trees are transitioning over to models that involve the use of neural networks instead. Artificial intelligence methods that incorporate neural networks lead to more precise decision making because they have a number of variable sensors that all go into making a decision – much like how a certain proportion of neurons fire in the human brain in response to a situation. This has allowed some programs to perform more complex tasks like the precise identification of human faces. Another relevant aspect of this shift is how artificial intelligence derives from the application of machine learning. Before, games such chess with relatively fewer calculations required were easily conquered after some decades by chess engines. However, games involving more practice and intuition such as Go have long eluded mastery by machines until Google’s DeepMind AI AlphaGo was introduced. In a surprising turnaround, Google’s AI was able to beat one of the leading Go champions, Lee Sedol 4-1 in an exhibition of five games, showing the proficiency and capabilities of these new machine learning methods. Interestingly, Google has also employed these machine learning methods to work with other applications such as in the regulation of its cooling systems to be more efficient.